Antonio Conte - Should Chelsea replace the serial winner with Maurizio Sarri? 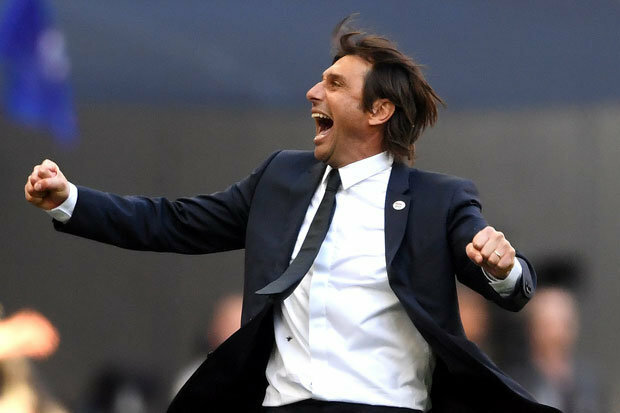 There are all sorts of reports in the media at the moment regarding the future of Antonio Conte at Chelsea. I just wonder if we actually sit down and think about it - have we been too hasty to write him off here? Let me explain. As I have said many times on here I backed Antonio Conte right through his tenure at Chelsea until our defeats to Manchester City away and then Tottenham at home. Up to those points of the season, I was encouraging everyone to stick with him. That all changed after those games and I could no longer see him staying here beyond the summer when it was clear that we would be missing out on the top four. The FA Cup win over Manchester United has softened the blow with another trophy added to our collection. The biggest thing for me had been the complete change in the head coach from last year to this season. Last year he was on point, he influenced games when we had to from the sidelines, he had a plan A, plan B and a Plan C to ensure that we got the right results, he was not afraid to make changes as quickly as possible, he was passionate throughout the ninety minutes of EVERY game and most importantly of all, he knew how to get the best out of the players he had to work with. OK, we have to be honest and admit that he has been frustrated with the club for not building on the success of last season to bring in the players HE wanted - but to then bolster the squad with club signings instead. He must have felt at times that he did not have the players to do as he did last season, players that could offer him a plan B or a plan C and that was reflected in his demeanour during games where at times he stood there lifeless and almost accepting defeat. He has once again this season fallen out with key influences in the dressing room. Last season it was Diego Costa, this season its both David Luiz was was vital to our league win last year and now Willian who in my view, based on his performances in the last couple of months of the season should be sold. Those personal relationship issues and the head coaches obvious frustrations has caused a problem behind the scenes that has spilled onto the football pitch and affected our season. This is why the Chelsea faithful have stopped (for the most part) singing his name towards the end of the Premier League season. 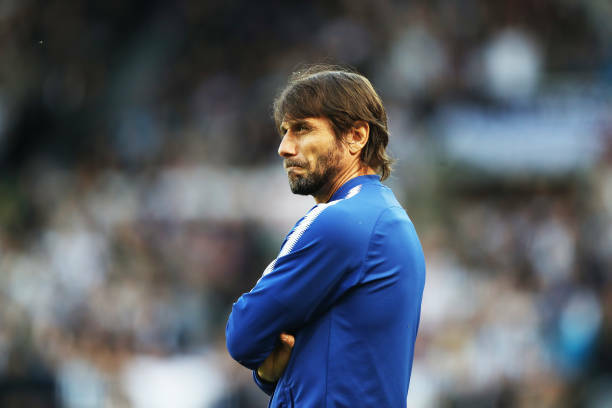 We can all see things falling apart and that's why we have all expected Antonio Conte to leave the club as soon as the season finished - but that has not happened. 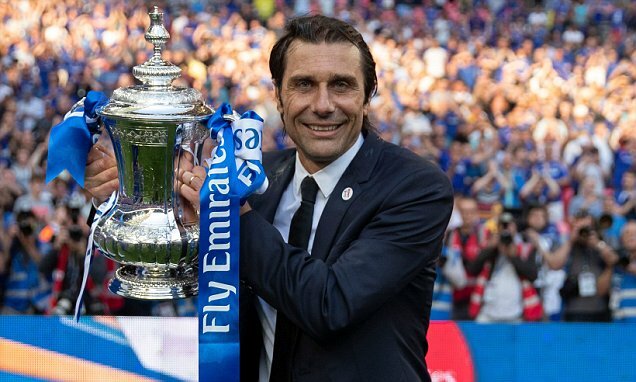 I just wonder if the tactical performance from Conte that led to the FA Cup Final win coupled with his post-match press conference reminding the Chelsea board that he is a "serial winner", has made them stop and think about things that had led to hesitation before the decision is made. So to Maurizio Sarri being the potential replacement for Antonio Conte if Chelsea decide to get rid of him. What has he won in the game? That's the biggest statement I can make here despite what he has managed to achieve with Napoli. OK, they have closed the gap to to Juventus in the time he has been in charge, they play attacking football with a high-press and it seems that he is happy to be the type of manager that will accept working with the players he has at the football club, but again what has he actually won? At Chelsea results and trophies matter. It's not about the long-term as much as we don't want to admit it, but it's about almost immediate success. 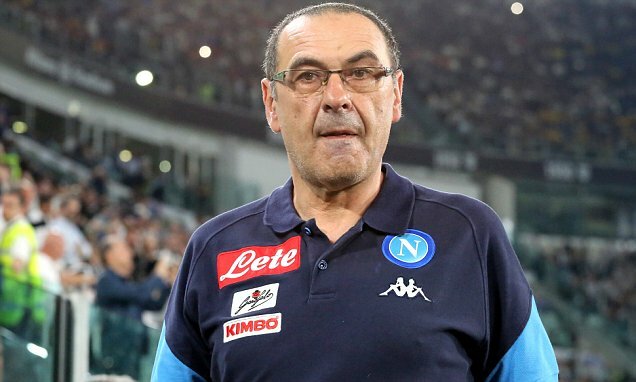 Will Maurizio Sarri come into the club and deliver that instant success as Antonio Conte did last term? Is he as tactically gifted as Conte? Most importantly of all, have we all been too hasty about Antonio Conte and should he now stay at the club?